Which increase with growing years. 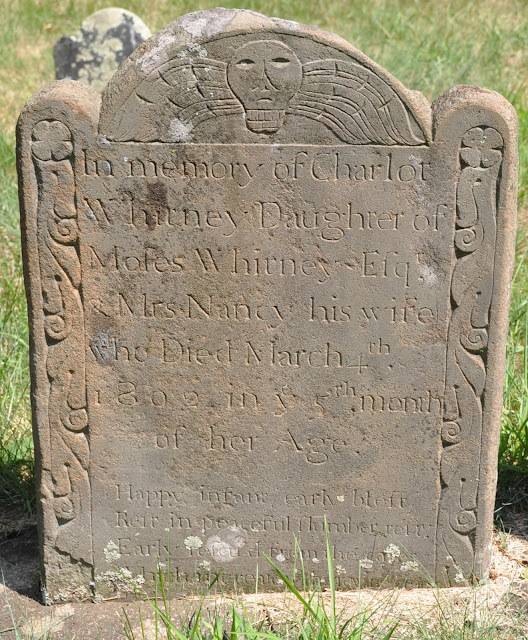 Are there still a lot of winged skulls in Wrentham in 1802? In north-central Mass the skulls are mostly gone by the 1760s, and the winged heads by 1800. There is an unusual concentration of late-dated winged skulls in Wrentham. The local Fisher/Farrington workshop was still turning out lots of these stones in the 1790s, but there are only a few from the 1800s. They do look old-fashioned, though. You'll see a few winged skulls in the Providence area in the 1780s (see Freelove Angell), but not many.